Tiny, yet mighty – and very good-sounding too! 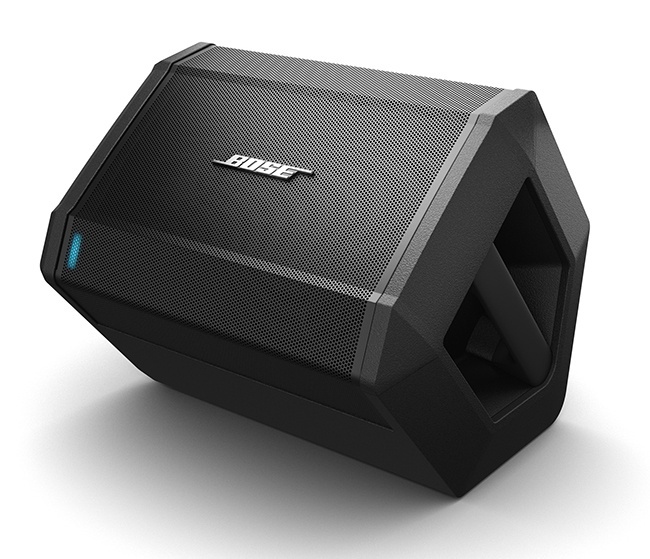 S1 Pro, Powered PA Speaker Cabinet from Bose. I know the Bose range and their sound quality which is surprising considering their size. And here, this is exactly at the heart of the matter – a small, extremely compact powered speaker which offers an astounding sound projection. As usual, its power remains undisclosed but 103 dB is far from little. I first tried it in a shop. For a total 6.5 kg (roughly 14 lbs), it’s very easy to transport with its handle, softcase and power supply. An integrated gyro allows, depending on its position, to cut or boost the low frequencies. Frankly, I tried all three settings and failed to notice a real change in sound. Composed of a 6.5” speaker and two twitters in front of it, like a small-sized line array, and slightly angled so as to disperse the sound following Bose’s usual process (as I saw through the grid!). - as a cab for a Yamaha THR10 amp: the line in is too powerful, it’s preferable to use the instrument input (which input level can be set), but the result is very interesting! The Yamaha sounds more punchy and powerful, and most important it gains lows! All this in spite of a slight his which source remains to be identified. In the end, I’ve tried it in a bar with a female singer and myself, an acoustic guitar two other small Yam amps and a cajon: with so little gear used, the level and power were very good, as well as the sound clarity. 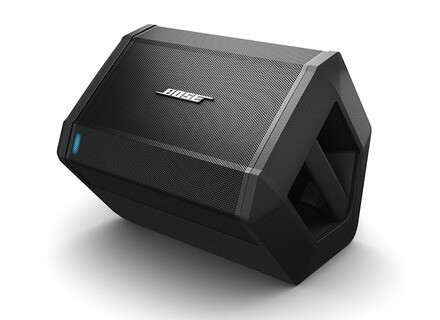 As to the price, some will say it costs two Mackie or Yamaha 10” power speakers: as usual, choosing one solution means renouncing to another, and I love this small Bose.